This water filter can remove chlorine, flouride, limescale and significantly reduces heavy metal such as zinc, copper, lead and pollutants to make the water be clean and healthy for your well being. It will bring you tastier food when cooking, that's great for your entire family! And it is the universal model with the standard size as shown in the pictures compatible for most brands of water pitchers. 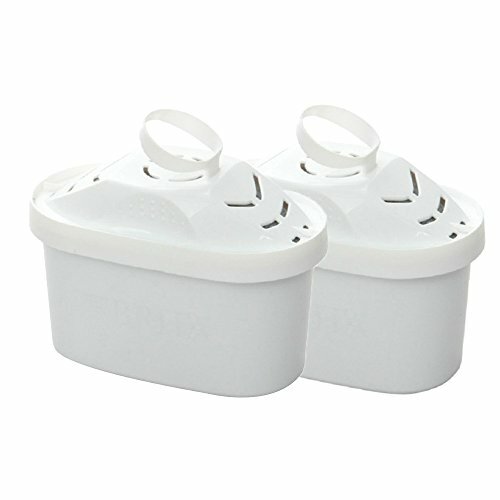 Size: 3.9*2*2.8 inches (Length*width*height), the all clear size parameters are shown in the pictures, compatible with most of water filter pitchers. When the first time to use this water filter pitcher, the water will be filtered very fast because the the filter cartridge has never been filled by water before, after 2-3 times of filtration, the water will be slower than the first time, this is a normal working condition. If you have any questions about this product by Areally, contact us by completing and submitting the form below. If you are looking for a specif part number, please include it with your message.